It has been said that all current drugs and medications are simply versions of herbs and foods that can be patented by the drug companies. These herbs have been freely used throughout history for their healing benefits. The biggest jewel in the crown of all medicinal herbs is garlic. Recent studies are confirming and substantiating it's power. The ingredient in garlic that gives it its medicinal qualities is allicin. Garlic is also high in sulfur and the vitamins B6, C and B1. Garlic was once known as "Russian Penicillin" because of its ability to act as a natural antibiotic against bacteria, viruses, fungus and colds, as well as its ability to strengthen the body to prevent overall disease. This study included 146 people who received either a placebo or an allicin-containing garlic supplement for 12 weeks. The participants recorded any common cold symptoms and infections in a daily diary. At the end of the study, there were 63% less colds in the garlic group and they recovered much faster when infected - in an average of 1.5 days versus 5 days. This research also showed that those taking the placebo were much more likely to get more than one cold over the treatment period. The researchers concluded that: "An allicin-containing supplement can prevent attack by the common cold virus." 2. Garlic Gel for Recurrent Hair Loss - "Indian Journal of Dermatology"
In order to determine the effectiveness of a garlic gel applied to the scalp for recurrent hair loss, researchers divided the participants into two groups. One group used a garlic gel for three months and the other used a placebo. In addition, both groups used a steroid cream on the scalp. The size of the patches and overall state of the hair was recorded each month. At the end of the study, very good responses were observed in the garlic group. The study showed that the use of a garlic gel significantly added to the therapeutic benefits from the steroid cream and that it's an effective hair loss remedy. 3. Heavy Metals in the Body Detoxified by Garlic - "Basic Clinical Toxicology"
Workers at a car battery industry with chronic lead poisoning were used in this study. The workers were split into two groups: One that received allicin from garlic three times a day and the other group received the drug d-penicillamine. At the end of the four week study, the symptoms of lead poisoning were examined. The researchers reported significant improvement in the garlic group including less irritability, fewer headaches, better tendon reflexes and lower blood pressure. None of these benefits were seen in the d-penicillamine group. 1,000 healthy female twins participated in this study. The team of researchers recorded the details of the diets of the twins and compared these with x-ray images that showed the degree of osteoarthritis development in the hips, spine and knees. Their discovery was that a high intake of vegetables and fruits, particularly those high in sulfur such as garlic and onions, resulted in lower signs of the beginnings of osteoarthritis in the hip. Dr Frances Williams, lead author of the study from King's College London, said: "... These findings may point the way towards future treatments and prevention of hip osteoarthritis." This study followed 50 patients over a 12 week treatment period. The patients were being treated with medication for high blood pressure, but it remained high and uncontrolled. The results showed that an aged garlic extract was effective in lowering blood pressure for patients with uncontrolled hypertension. 6. Garlic Enhances Exercise Tolerance - "Indian Journal of Physiology"
In a study of 30 patients with heart disease, treadmill tests were to examine their exercise capacity. After the initial test, they were given garlic oil capsules daily for six weeks. When the test was repeated, it was shown that the garlic had greatly improved their heart rate at peak exercise and had also reduced the work load on the heart. This gave the patients better exercise tolerance and ability. 7. Garlic Lowers Risk of Lung Cancer by 44% - "Cancer Prevention Research"
In this 7-year study, researchers at a medical center in China interviewed 1,424 lung cancer patients and also 4,543 healthy people. They were asked questions about their diet, smoking and how often they ate garlic. 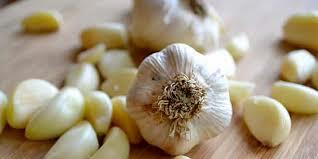 Raw garlic consumption of 2 times or more per week was found to be associated with a 44% prevention of lung cancer. For those in the study who smoked, the risk of lung cancer was still reduced by about 30% for those who ate the raw garlic. Garlic is best eaten raw. Some tasty ways to receive the benefits of garlic include adding it to homemade salsa, guacamole, salad dressings, pasta sauce, in mashed potatoes, and mixed with butter and then spread on bread. It can also be added to vegetable smoothies and hot vegetable dishes. If raw garlic causes any stomach upset, there are many garlic supplements available that contain good amounts of allicin. Jobee Knight is President of Nutrition Breakthroughs. She has written nutrition articles and provided effective natural remedies since 2001. These remedies include the natural sleep aids and joint and pain relief products made by Nutrition Breakthroughs.